Any violation of the ignition interlock will result in additional mandatory license sanctions (another 45 day hard suspension followed by 320 days of restrictions. Click for link to Michigan Secretary of State website for all drinking and driving penalties. 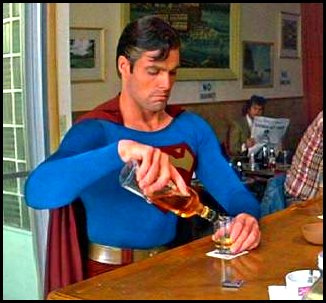 I never really liked the label “Super Drunk” based upon the simple truth that a person who consumes alcohol and has a BAC of .16% could be branded as a “Super Drunk” by consuming one more sip of a drink. Other factors which influence the BAC are metabolism and the passage of time. Females also tend to have higher BAC levels based upon same variables as men (body weight and number of drinks consumed). Most counties now have a policy against reduction, or plea bargaining, of High BAC cases to lower drinking and driving crimes. However, we have handled several Super Drunk, or High BAC cases as I prefer to call them, since its passage in 2010. We have had success in avoiding a High BAC convictions in many cases where the factors are in our favor. Our consultations with clients charged with a drinking and driving offense includes: an analysis of the drinking and driving incident and detailed background of our client (education, employment, children, substance abuse history). Was cooperative with the arresting law enforcement agency. Typical High BAC cases cannot be reduced without a policy deviation approved by the prosecuting attorney. A deviation request is made by exposing weaknesses in the case and by providing the prosecuting attorney with positive information regarding our client. When a deviation request is made, the case may take several court appearances before a response is obtained as to whether the deviation is approved or denied. If a deviation request is denied, the case can be set for trial or motion hearings to attack the traffic stop or other aspects of the case such as technical aspects of the blood alcohol testing equipment. Contact the ABDO LAW FIRM if you are charged with any drinking and driving offense, including Operating While Intoxicated, Operating While Impaired or High BAC (.17% or higher). You may be eligible for a reduction despite policy against doing so in many counties. Our firm will adopt a plan for your particular case to improve your chances and avoid the harsh penalties and stigma associated with a “Super Drunk” conviction. After being retained, we may ask for you to begin counseling, AA meetings and provide our office with letters of achievement as well as character reference letters. We will order discovery (police reports, test results and video) and analyze the evidence. Your input and ours will be utilized in the defense of your case and/or the presentation of a deviation request whenever this is a realistic course of action.